Palmyra, Nimrud, Khorsabad, Bosra, and Jonah’s Tomb are just a noted few of many ancient sites that have been decimated by ISIL bulldozers, sledgehammers, bombs, and looters recently. It is clear that the group has calculated plans to culturally cleanse the Arab world of history that doesn’t reinforce its narrow interpretation of Islam, thereby removing all memory of the Assyrian, Mesopotamian, and Akkadian civilizations as well as any legacy of peaceful pluralism. Like the vast majority of well-meaning UNSC resolutions that sound reasonable on paper yet are difficult bordering on impossible to reinforce in practice, these words did very little to block a massive influx of illegal goods and clever fakes with Iraqi and Syrian origins that have been flooding the European and Middle Eastern art and antiquities market since 2013. 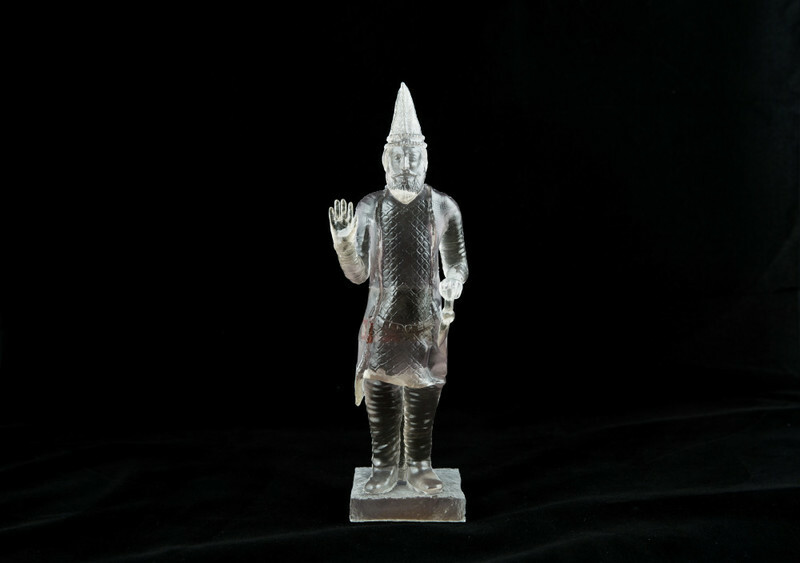 Of course, reputable auction houses and galleries do their research on acquisitions and steer clear of potential lots with murky origins and authenticity, but just cruise around eBay and you’ll quickly dredge up a selection of rare Assyrian and Mesopotamian coins and pottery shards. Back in June, Bloomberg reported that the city of Manbij, which sits close to Syria’s fragile border with Turkey, has been transformed into ISIL’s center for processing looted antiquities, and is officially referred to by Caliphate bureaucracy as “The Archaeological Administration.” After US coalition-led airstrikes took out a number of confiscated oil fields that had been pumping cash each day into The Islamic State of the Iraq and the Levant (ISIL) hands, the group’s strategy quickly shifted from bulldozing and razing heritage sites, to instead looting and smuggling rare artefacts out across borders at what UNESCO has called an “industrial scale,” then peddling them to shady dealers—à la Donna Tartt’s The Goldfinch—to be re-sold in a few years after the track has gone cold. The 82-year-old Syrian archaeologist and noted scholar Khaled al-Assad refused to give ISIL interrogators clues to the location of precious Palmyra antiquities that are being safeguarded in an unknown location. As a result, he was beheaded and his remains were publicly displayed on a stake among the very ruins of the ancient city that he had spent his entire professional life excavating and protecting. So is it time for ball-busting archaeologists to watch The Monuments Men one too many times, arm themselves, and band together to defend what’s left of the ancient Assyrian cities before ISIL members rev up their iPhone video cameras and take a sledgehammer to one more ancient site for show? Is military intervention to protect these sites morally justifiable when much of Syria is streaming across the face of Europe, while ISIL continues to grow in power inside Iraq, Syria, and other Middle Eastern countries? One audacious group of archaeologists believes that the pen—or in this case the 3D printer—is mightier than the sword. Oxford and Harvard University’s joint Institute for Digital Archaeology has secured funding to pilot The Million Image Database Project in which 5,000 3D cameras will be distributed to relatively un-skilled volunteers who are based in conflict zones. The amateur conservationists will use the cameras to document an estimated one million surviving artefacts in endangered sites and museums around the Middle East then upload the images to a shared database with secure backup. In a wild, futuristic twist the Institute will then attempt to use the photographs print 3D replicas of destroyed antiquities. 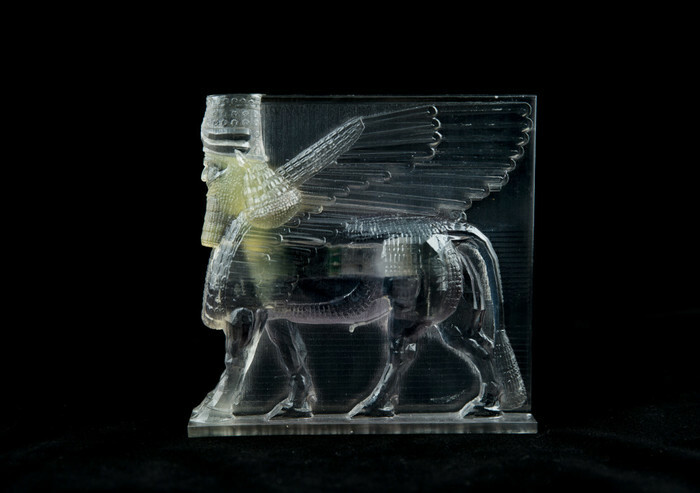 As part of a four-month residency at San Francisco’s Pier 9, Tehran-born techie artist and activist Morehshin Allahyari used 3D printing techniques to reconstitute several of the artefacts destroyed by jihadists during an attack on the Mosul Museum. 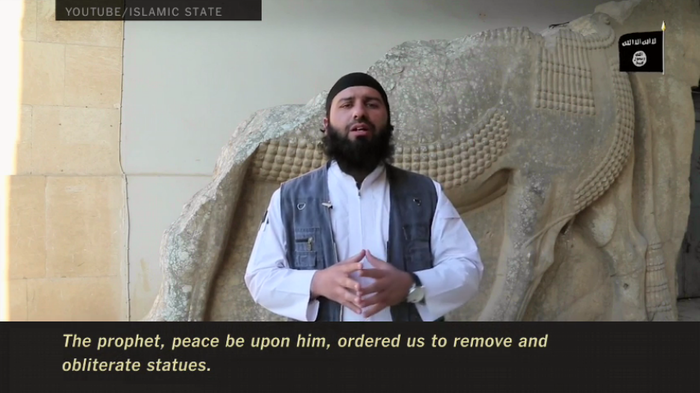 The project, which is titled Material Speculation: ISIS, aims to re-birth accurate reproductions of ten statues and other remains dating back to the Assyrian and Hatra eras, including one particularly beloved winged statue. Each piece is reconstituted using a translucent material and holds a data card containing historical details and context for the artefact. The next phase of the project will give the public access to the information contained in the data cards so that anyone with access to 3D printing technology will be empowered to resist ISIL by creating a version of the destroyed artefacts. Although this is a brilliant scheme to safeguard the past, card-holding museum lovers know that standing in the presence of a copy or reproduction never quite carries the same gravitas as sharing space with an original statue. Reproductions can never convey the sense of marvel that comes with knowing that an ancient Assyrian sculptor’s hands touched the very piece displayed in front of you—and the perspective of one’s own petty insignificance that comes with viewing a treasure that has outlived generations upon generations of other human beings. Even though a reproduction will never replace an original treasure or site, archaeologists, artists, and determined civilian volunteers are using technology to fight ISIL’s strategy to eradicate actual artefacts along with their underlying cultural legacy—and it looks like they might just challenge the jihadists on this front. The originals may have been destroyed, but through the inscription of knowledge and embodied memory onto their facsimiles, the legacy of the pluralistic civilizations that they belonged to will remain to fight another day.